Preparing a child for their first flight is a real challenge for every parent. A lot depends on the child's age. The younger your child, the more you’ll need to explain. And you should always start explaining early. How to prepare my child for flying? It’s a good idea to introduce your child to other forms of transport than a car. If you don’t use public transport often, take your toddler for a ride on a bus, tram, or train. This can help you teach your child about the rules of mass transit. It’s also equally important for children to get used to being around a lot of strangers. You can also organize a family trip to the airport to show your child the building and let them see airplanes taking off. Try to get your kid interested in flying. Show older children how the flight radar works. 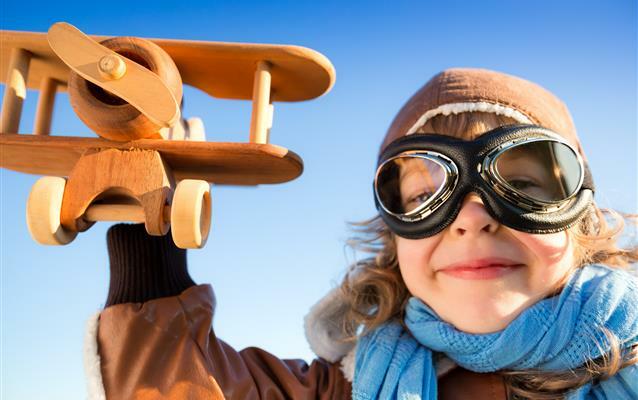 Describe the flight to your child from start to finish. Explain the check-in process, tell them about how pilots and flight attendants do their jobs, talk about the interior of the airplane and where the baggage goes. Get a map and look over your flight’s path. It’s not easy, but don’t let your child get bored. When you’re at the airport, take them to an observation deck where they can admire the machines as they take off and land. And make sure you’ve prepared some interesting games to play during the journey. Get yourself ready to amuse your little one on the plane.